Trying to get a Virtual Machine to work on 64 bit Redhat 5.5? You may want to read these reviews of Virtual Box, and VMWare Player first. I’ve also installed the extension pack. Interestingly, Virtual Box does not have a simple –version or -v flag! Unlike the majority of commands and RPMs on Linux. You can see the struggle I had just to install Virtual Box in another post. Four very fundamental things were documented wrong, or not documented at all! Surprise! Finally I got it installed. Then I tried to create a Windows XP virtual machine. But Virtual Box just didn’t want to work. Review of Colasoft – Network Activity Analyzer – It’s Awesome! The other week, I downloaded Colasoft’s Network Activity Analyzer, and took it for a test drive. 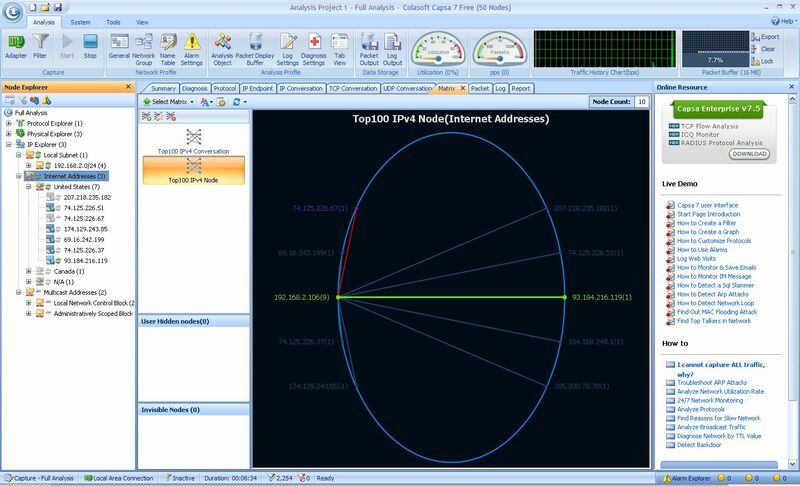 Colasoft is a fabulous network analyzer, intuitively obvious and such a pleasure to work with. It installs and works in a few minutes. It’s highly recommended! I was prompted to download it, because I’ve often wondered about network activity on my machines. In addition to seeing the total network activity on the machine, I’d like to see the network activity by each browser window. And further, by each tab in each web browser. So far, I haven’t found a product to do this. If anyone knows of a such a product, please leave a comment. I’d love to see the product.